Cavite is the Historical Capital of the Philippines, having been the seat of the Philippine Revolution, which was the cause of the country's ultimate freedom from over 300 years of Spanish colonization, marked by the Philippine Declaration of Independence on June 12th, 1898 in Kawit, Cavite. Located just 21 kilometers south of Metro Manila, which is the heart or capital of the Philippines, Cavite is thus one of the fastest growing provinces in the nation. #1 - Chateau Beatrice, Tagaytay: Love begets love in Chateau Beatrice, an awesome hotel in Tagaytay, located at 333 Tagaytay-Calamba Road. Bask in the cooler climate offered by this amazing highland, not too far from Manila, in addition to getting the pampering you deserve from their very accommodating staff, enjoying their big rooms, clean bathrooms, yummy and filling breakfast, excellent air conditioning, on top of their budget-friendly price. 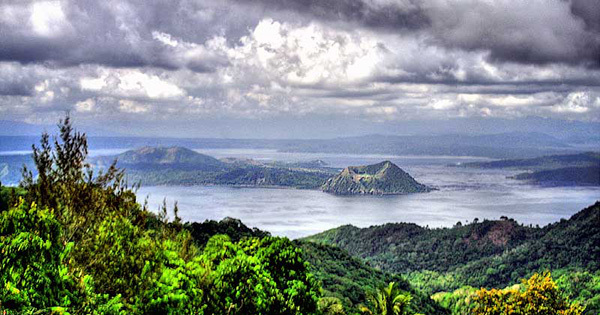 Moreover, have that perfect chance to check out Tagaytay's best attractions, which are Taal Lake and Volcano, within great viewing position from famous places such as Picnic Grove, People's Park in the Sky and Sky Ranch. #2 - Microtel Inn & Suites by Wyndham Eagle Ridge, Cavite City: Relax and unwind, leave all your worries behind as you check into Microtel Inn & Suites by Wyndham Eagle Ridge, which occupies Amadeo Road, General Trias, Cavite City, in Luzon, Philippines. Their helpful plus friendly staff, mouthwatering food, marvelous rooms, cleanliness and good atmosphere will definitely exceed your expectations. Experience one of a kind fun as well as tranquility as your visit this city's popular tourist spots, like Sonya's Garden Spa, Puerto Azul Golf and Country Club, Bonifacio Shrine, etc. #3 - Spring Plaza Hotel, Dasmarinas: For both pleasure and affordability, come and visit Spring Plaza Hotel, which can be found at Sampaloc 2, Dasmarinas City, Luzon, Philippines. Along with their nice rooms containing all the basic amenities, its guests will also enjoy their peaceful surroundings and attentive staff. Excellent sites to see in Dasmarinas City are Tagaytay, SM Dasmarinas, Robinsons Dasmarinas, Eagle Ridge Golf Course, Sherwood Golf Course, Riviera Golf course, and De La Salle -- Dasmarinas. #4 - The Henry Hotel Manila, Kawit: One of the best Cavite Hotel Deals in Trip Advisor, is a stay in The Henry Hotel Manila, located at 2680 F.B. Harrison Street, Pasay, Luzon, that will truly satisfy every adventurous traveler's craving for great customer service, delectable dishes, serenity, complete amenities, relaxing rooms, tight security, and so on. It is a little less than an hour's drive towards Kawit, Cavite -- another wonderful spot where you can visit the home of the first president of the Republic of the Philippines, the late Emilio Aguinaldo. The Aguinaldo Shrine, which is a must-see for its rich history, is also where Filipinos were set free from Spanish ruling, through a declaration of independence, way back in time. Explore lovely Manila on your way to Kawit, after checking into The Henry Hotel, a must-try, well-loved venue, that we would like to recommend too, for the lack of a good hotel at the moment in Kawit -- which is nonetheless one for your bucket list.